Here at PetRelocation.com, we love offering up-to-date information about pet moving and travel, picking the right dog crate, etc…, but we know that the pet community is interested in learning about bigger issues and charities around the world, too. 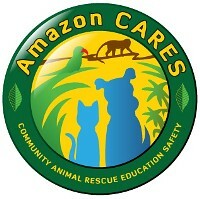 On that note, we thought we'd tell you about Amazon Community Animal Rescue, Education and Safety (CARES), an organization that works to improve life for humans and animals throughout the Peruvian Amazon. Founded in 2004 by Molly Mednikow with the goal of working to protect the stray animals so often found in this part of the world, Amazon CARES stands up for the most powerless among us. A Tennessee native with a background in business, Molly decided to pack up and move to Peru when previous charity work brought her there a few years ago. After witnessing the tragic amount of animal suffering in cities like Iquitos, Molly decided to sell her share of her family's business and put her money where her heart was. Thus was born Amazon CARES, which would eventually become a busy and broadly-reaching charity with several ongoing projects including a vet clinic, a no-kill shelter, rescue programs and volunteer opportunities. We’ve asked Molly, who will be attending BlogPaws 2010 West next month, to answer a few questions about her experiences, her motivations and her advice on how to become involved. Thanks, Molly, and keep up the great work! What improvements has Amazon CARES made possible since it began? No domestic animal welfare organizations exist in the Peruvian Amazon, with the exception of Amazon CARES. Since 2004 we have managed to stop local governments from mass culling of street dogs via poisoning or shooting. We also forced a traveling circus out of the city by exposing their paying people for live domestic animals to feed their tigers. The number of abandoned and sick dogs on the street is greatly reduced. In the beginning we had to beg people to sterilize their pets. Now, whenever we have a free mobile clinic, we have to deal with crowd control! You lived in Peru for four years. What was an average day like there? I still spend months of each year in Peru, and my day is much like another person’s day. Except that I travel to work by boat instead of car! I live on the same property as our no-kill shelter and it is comfortable but rustic. We have a generator but my hours are very much dictated by the sun. I live surrounded by exotic trees, plants, animals, and of course, dogs. The day starts early, before the heat sets in, and the “Guardian” for the property takes me to town via a 30 minute boat ride. We have a modern office with air conditioning in the center of town. The veterinary clinic is operated by a great team of professionals, all Peruvian. I work at the computer in the office. I usually do not take the two hour lunch break when the office closes from 12 p.m. to 2 p.m. However, since I live in the jungle, I have to leave early each day, by 5 p.m. at the latest, to make sure we (the Guardian and me) don’t get lost in the dark on the Amazon River. The food at the jungle shelter is delicious. I always prefer staying there rather than in town. At night, I usually read and go to bed early. What are the biggest challenges or surprises you’ve encountered since this charity began? After the charity had been open for six months, I began to realize that I had failed to deal with cultural attitudes towards animals within the Amazon CARES staff! I just assumed they understood what I understood. After attending a Humane Society International conference I realized that I had to teach them about animal welfare and sensitivity towards the very animals they were being paid to care for. I used to scrub the kennels because I was dissatisfied with how others did the job. However, I had not taught them the WHY behind the WHAT. Once they understood the high risks of NOT cleaning thoroughly, they changed. I tried to help them see life through the eyes of an abandoned animal, and made sure they knew that every moment spent outside of a kennel is a blessing for a dog or cat. Of course, I dealt with these same cultural differences within the Peruvian community, and changing those perceptions has taken more time, and will be a continuing effort. What can the average person do to get involved in improving animal welfare? -For a person that has NO TIME, the least they could do is shop through an animal welfare portal site. We have one at http://www.amazoncares.we-care.com. All you do is download a toolbar and then whenever you are on one of the MANY participating store sites, a percentage of your purchase is donated to the charity automatically. -Another form of helping for people with little time is by donating pet food and supplies to shelters. -Animal transport is always needed and sometimes the routes are convenient for a person anyway. -One can be very active in helping animals without even leaving their house by utilizing the Internet to spread the word about animals in need of homes, or helping reunite lost animals with their family. -A great way to get outdoors and get exercise is to volunteer as a dog walker at a local shelter. -Many people may have access to resources they are unaware of. Maybe your company is getting brand new copy machines. You might be able to influence where they end up (at local animal shelters). Maybe your boss would be willing to donate office supplies or sponsor an event for a shelter. When did you realize social media could play such an important role in the work that you do? I have always been an early adaptor. Heather McCallister of DIOSA Communications and her webinars and her blog have really helped me learn and stay up-to-date. Working from Peru, I knew I had to get the word out to potential donors in the United States. Twitter is my favorite choice. I never feel like Facebook is really out to help non-profit organizations, and they are always changing their policies and formats. I knew early on that social media would be essential. In order to bring more exposure to Amazon CARES I make sure our blog focuses on our issues but is also very broad in writing about other topics, charities, etc. We heard you’ll be attending BlogPaws 2010 West. What are you most looking forward to? The workshops at BlogPaws are a highlight for me. They are focused and the speakers are not too self promoting. There is a general air of sharing and learning that I have not experienced at other conferences. I also love putting a face to many names I know from social media. I am rooming with Katy McDougal of Teeny's Friends charity. Though we’ve never met in person, I already feel we are great friends!